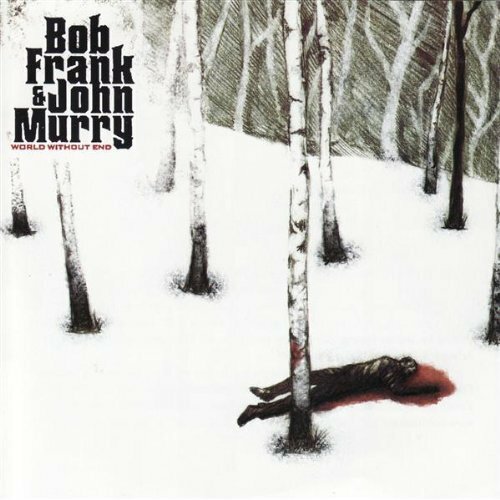 World Without End" was released on May 3 2007 and is a collection of ten original murder ballads co-written by Bob Frank and John Murry that was produced by Tim Mooney of American Music Club (who drums on the album) and mastered by Matt Pence of Centromatic/South San Gabriel. It contains the contributions of an enormous group of musicians on a multitude of instruments. The songs are based on true-but-forgotten tales of murder, death, and suicide. Producer Jim Dickinson calls Bob Frank "the greatest songwriter you never heard". The duo was to tour Europe twice after the release of the album which recieved amazing reviewings across Europe. John Murry's new album is up for the UNCUT shortlist and has recieved an 9/10. Bob’s partner in crime is John Murry, who’s great grandfather is none other than William Faulkner and a Tupelo giant half Bob’s age. John has been a member of the Dillingers and Lucero and recently just recorded an Waylon Jennings album with Chuck Prophet. Bob and John met up last year and formed their plan for new Murder Ballads from their new home in San Francisco.